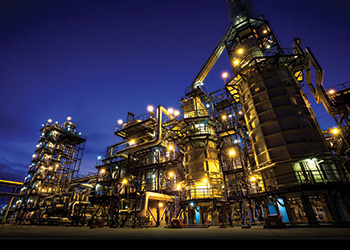 Since its inception in 1994 under the name SBG-PCM (Saudi Binladin Group - Petroleum, Chemicals and Mining Division), PCMC has presented itself as one of the major players in the industrial and oil and gas sectors, supported by extensive capabilities and technical expertise that were accumulated by firstly acquiring the needed in-house resources, and then forming collaborations with specialised international partners in the field. The company offers the financial strength, assets, and decades of contracting experience of the Binladin organisation as well as the efficiencies of an international operation, says a spokesman. It is a logical extension for the Saudi Binladin Group, given the fact that the Kingdom of Saudi Arabia has the world’s largest reserves of oil as well as an abundance of mineral resources. Today, PCMC is involved in some of the most prestigious industrial projects in Saudi Arabia, spanning engineering, procurement, construction, commissioning and start up services, he says. "Our team of 5,000 seasoned professionals cover the entire lifecycle of our projects, from earth works to handover and long term maintenance jobs. "In an increasingly competitive business environment, we at PCMC are continually developing our assets to meet new challenges and achieve our mission of serving the needs of the industrial sector in Saudi Arabia and expanding our geographical reach to cover the whole region and beyond," he adds.